April 18, 2012 By arzea 6 Comments This post may contain affiliate links. Read my disclosure policy. 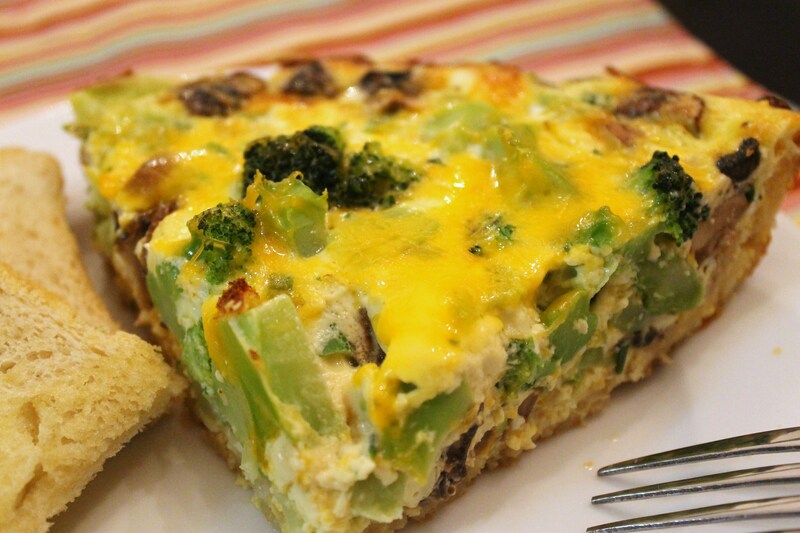 I really love frittatas and quiche, but I wanted to try something a little different for a change. 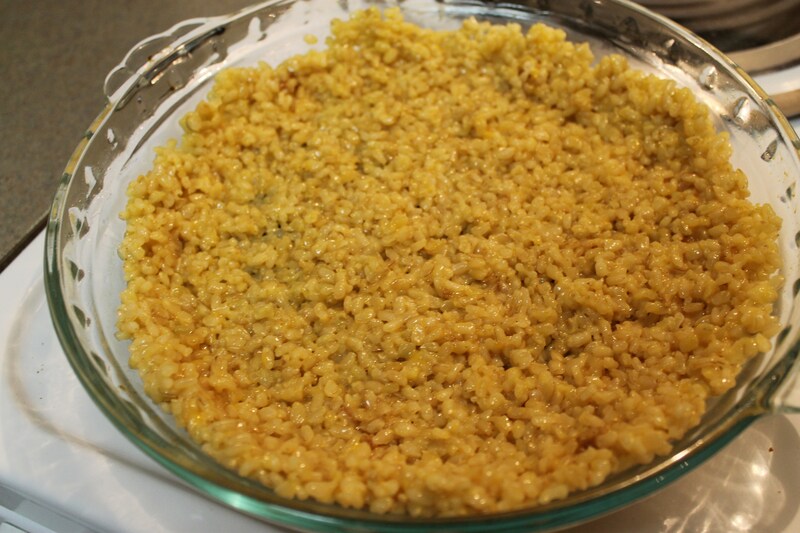 My husband loves brown rice, and I stumbled upon a brown rice crust recipe and thought it might be interesting. 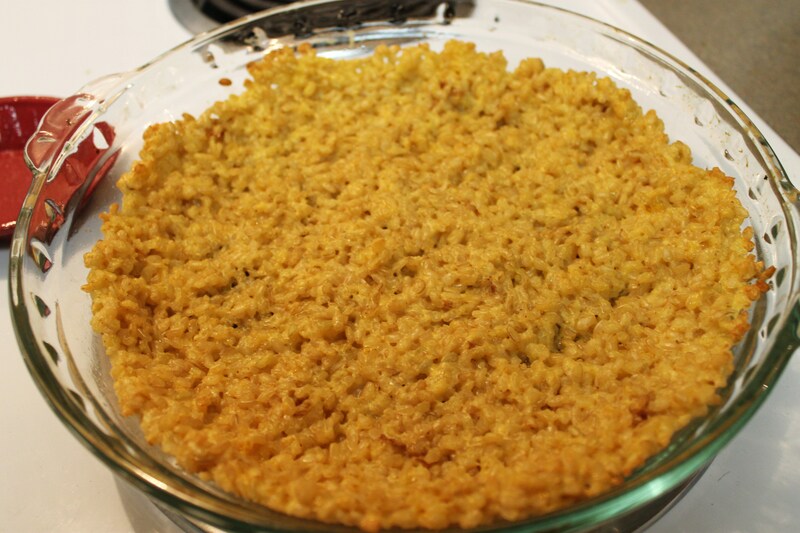 It turned out to be a hit, and it kind of tasted more like a casserole. I love the flavor of brown rice, so it probably wasn’t too hard to please me, but my husband enjoyed it as well. This recipe was a little time consuming, but it was worth it in my opinion. 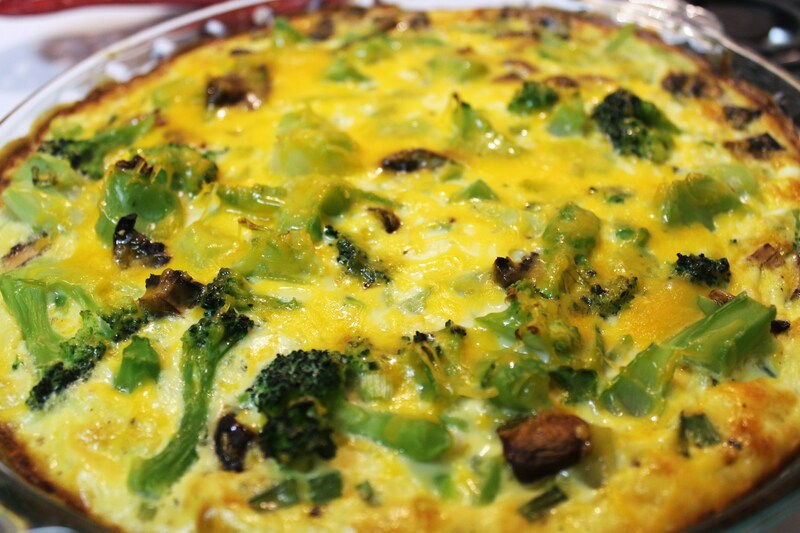 It would be a great option for dinner, lunch, or breakfast, and it is also pretty healthy! This is a vegetarian recipe, but you could easily throw in some shredded chicken or turkey, sausage, or bacon to make it meat friendly. Bake in a preheated 450 degree F oven until the edges and bottom just start turning golden brown, about 5 to 7 minutes. Turn oven to broil on high for 2-3 more minutes until crust looks crisp. 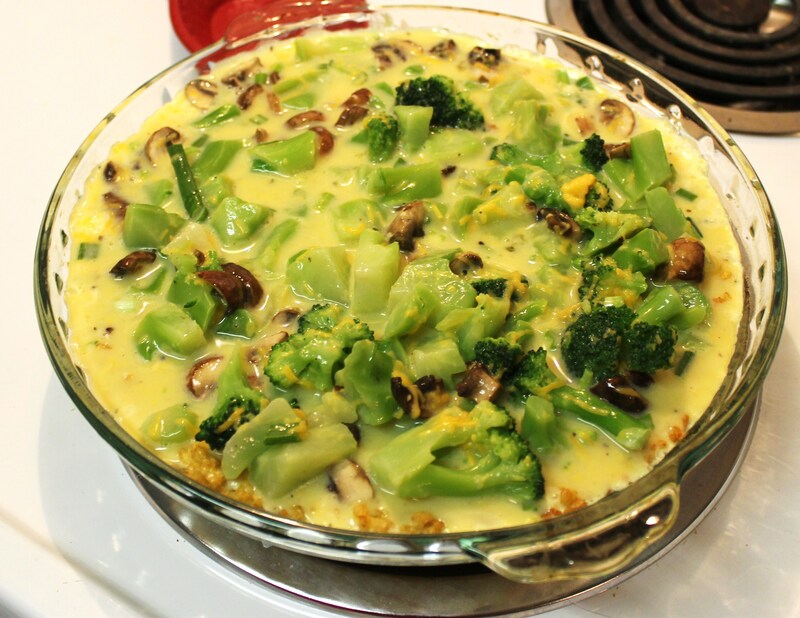 Mix the remaining eggs, milk, broccoli, mushrooms, sharp cheddar cheese and green onions in a bowl and season with salt and pepper. 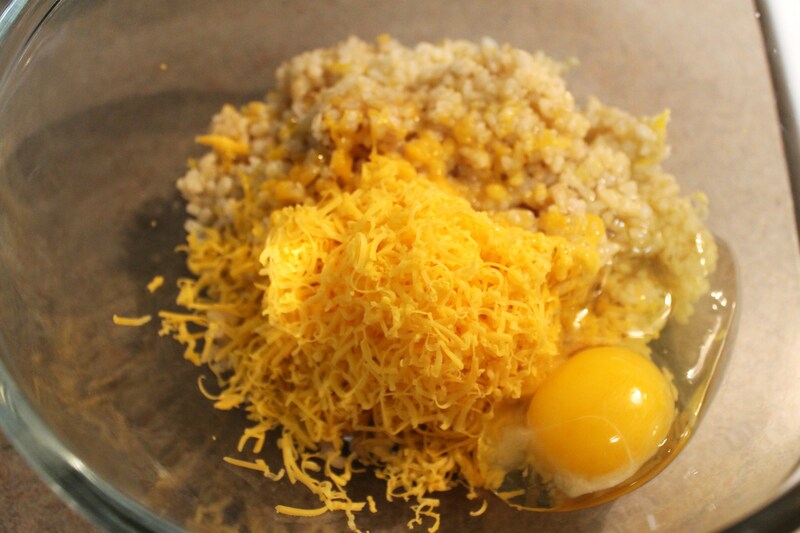 Pour the egg mixture into the pie crust. whoa! that looks delicious! Looks like a great thing to bring to a brunch! This would be great at a brunch! It was SOOO delicious! Lol sorry about the delayed response! Andy and I had it again for breakfast too!